33 tips that will help you travel in Madagascar and make your time in this unique country so much more enjoyable. How many of these Madagascar facts do you know? Many travellers know it as a place from the Madagascar movies but don't know much else about it. And it definitely isn't on most travellers radar. How many of these Madagascar facts do you know? Many travellers know it as a place from the Madagascar movies but don’t know much else about it. And it definitely isn’t on most travellers radar. The best time to see lemurs in Madagascar is NOW. Your visit as an ecotourist can play an important role in lemur conservation - before it's too late. The best time to see lemurs in Madagascar is NOW. Your visit as an ecotourist can play an important role in lemur conservation – before it’s too late. Grossarl, located in the Austrian Alps, is the perfect travel destination when you're seeking active relaxation. You'll hike, enjoy great food and reward yourself with a visit to the spa. 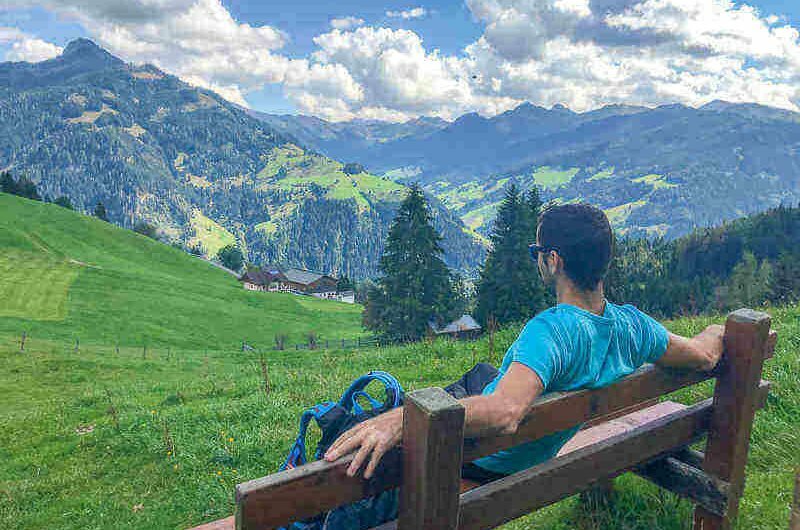 Grossarl, located in the Austrian Alps, is the perfect travel destination when you’re seeking active relaxation. You’ll hike, enjoy great food and reward yourself with a visit to the spa. The Engadin Mountains near St. Moritz in Switzerland are among the most dramatic in all of the Alps with 173 glaciers and high alpine lakes! A 12-Day Guatemala itinerary for adventure seekers. You'll discover the best places to visit in Guatemala, the best time to travel to Guatemala along with where to stay and what to eat. Written by a local. On June 3rd, 2018, Fuego Volcano which overlooks Antigua Guatemala erupted. It left 192 missing and 75 people dead. Over 3000 people were evacuated. It's the deadliest volcanic eruption in Guatemala since 1929. What follows is local Lourdes Diaz's account of what happened who was hiking nearby shortly before the eruption. On June 3rd, 2018, Fuego Volcano which overlooks Antigua Guatemala erupted. It left 192 missing and 75 people dead. Over 3000 people were evacuated. It’s the deadliest volcanic eruption in Guatemala since 1929. What follows is local Lourdes Diaz’s account of what happened who was hiking nearby shortly before the eruption.